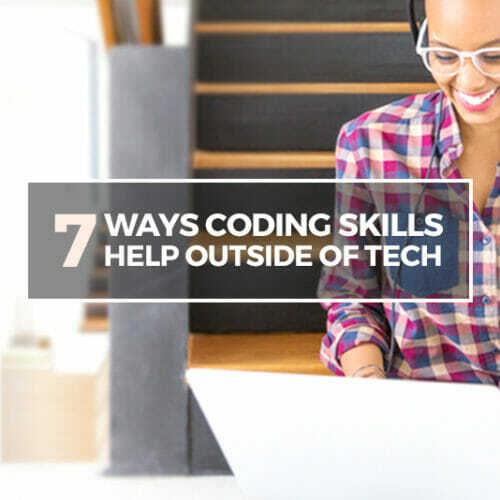 There’s no question that learning tech skills can totally transform your career prospects. Tech skills are SUPER in-demand, with the Bureau of Labor Statistics (BLS) predicted over 135,000 new software development jobs in the USA by 2024. And the tech industry is also known for its high salaries—that same report predicts those developers will have a median salary of $98K! What’s better, you don’t have to put your life (and your bank account) on hold and go back to school to qualify for one of these jobs. The BLS projects that web developers have one the of the fastest growing and highest paying jobs that doesn’t require a bachelor’s degree. On top of that? 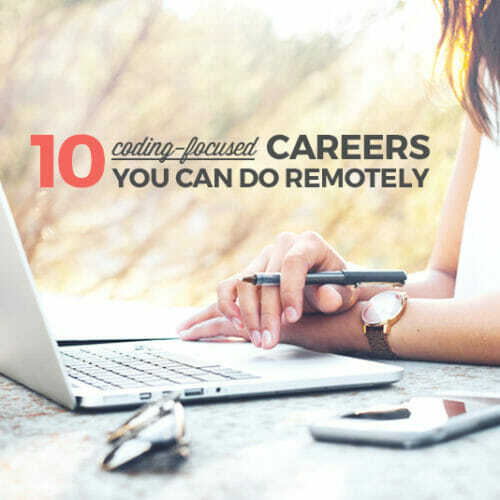 There are plenty of remote tech jobs and highly creative tech jobs in the industry, so you can do what you love…from anywhere. But what is it REALLY like to work in tech? Does it mean being an IT professional at a major corporation, and helping other employees fix their computers and use software? Does it mean eating ramen out of a trough with 3 of your best college friends in an over-priced 1-bedroom in Silicon Valley? That’s the thing with tech—most of us imagine it looks like just one thing, but there is actually a huge variety of jobs in the industry. 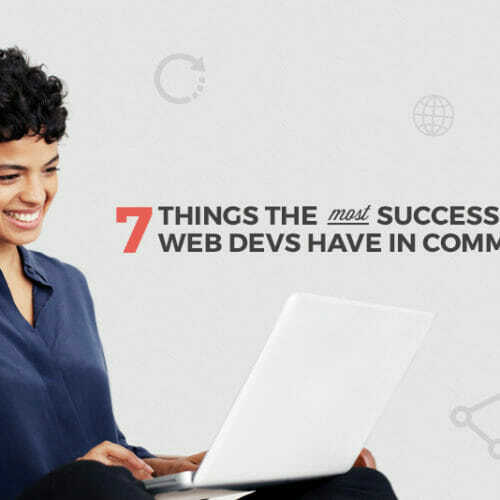 For example, you could work as a web developer, a software developer, a visual designer, a digital marketer, a web designer, a full stack developer…and a lot more. But chances are, when you think of “working in tech,” you’re imagining the life of a web developer who builds the sites and apps that you love, like a Ruby developer building the bones of the Airbnb website, or a WordPress developer keeping the New York Times in business. In this post from our friends at Flatiron School, you’re going to find out exactly what a day in the life of a real developer (Bethanne Zink) is like. And not a senior developer who has a degree in computer science and a decade of experience—Bethanne is someone like you who learned most of her skills online and made a commitment to transforming her career and life by learning to code. 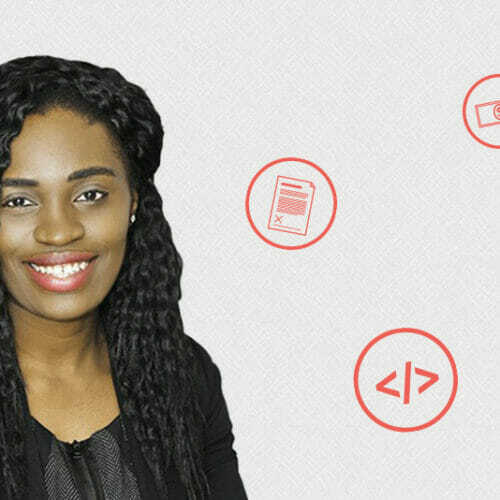 Bethanne is an alumna of Flatiron’s three-month web development program in New York City. If you’re looking for a more intensive program after learning to code in a Skillcrush Blueprint, Flatiron is a great next step. Flatiron teaches in-person classes in NYC, and they also recently launched an online campus at Learn.co, which is self-paced and can be done full-time or next to work. To find out how to qualify for the program, click here, or get a taste of what it’s like in their free intro to programming course. (If you’re just getting started with no prior coding experience, dip your toe in with Skillcrush’s free 10-day Coding Bootcamp. You’ll learn the basics, like the difference between a website and a web app, and even write your first lines of HTML!). Imagine it’s your one-year anniversary as a junior developer. You walk into work, sit down at your desk, turn on your computer…and then what? 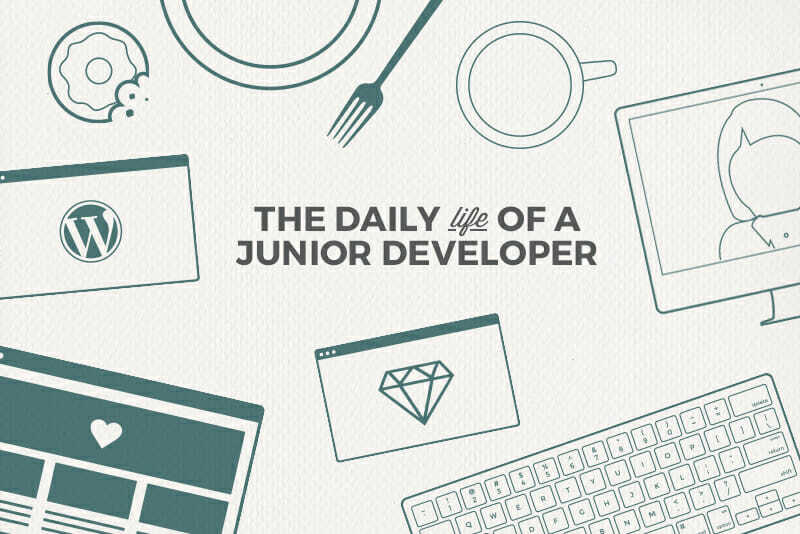 Before you’ve officially entered the tech world, it’s hard to know what the day-to-day life of a junior developer actually looks like. But this info is extremely valuable—after all, we’re talking about your future here! So, to give you an idea of what to expect, I talked to software engineer Bethanne Zink about her everyday routine and workload. Before Bethanne went to Flatiron School’s three-month web development program, she was a behavior therapist. Now she’s celebrating her one-year anniversary at online marketing analytics company Bounce Exchange. Many tech jobs come with flexible schedules—and Bethanne’s role is no exception. She arrives at the office at 10 A.M. every day, just in time for a stand-up meeting with the entire Development team. After stand-up, Bethanne settles into her daily work. However, it’s anything but routine. “My work has very little time-based predictability or consistency,” she explains. Bethanne spends roughly 60% of her time building out features on clients’ sites, 15% of her time answering feasibility and functionality questions for members of the Accounts team, 10% of her time troubleshooting issues when other team members are “stuck on some code craziness,” and the last 15% assigning tasks to the members of her team. So that’s like spending 3 days a week writing code and the remaining 2 days working with her team, troubleshooting, and helping out where she can. Bethanne says these units of work typically have short-term deadlines and take anywhere from a few hours to a few days to complete. The biggest challenges? Writing code that works across different browsers and devices, and integrating with sites that use front-end frameworks (like Angular and React). As team lead, Bethanne spends more time in meetings than the average junior developer. Every day she spends roughly an hour divvying up assignments to her team members. There are also various optional activities, lunch n’ learns, and informational sessions every week that Bethanne says she choose to attend based on her workload and interest. If your office has a cafeteria, like Bethanne’s does, you may end up eating most of your meals in the building. Plus, each Friday there’s a complimentary breakfast delivered around 11. Going to Flatiron School and becoming a software engineer definitely means Bethanne’s “average day” looks different than before. If you’re interested in Flatiron School’s NYC or online campus, check out their free intro to programming course or get your feet wet with Skillcrush’s 10-Day Coding Bootcamp, a free email course and introduction to the world of code. Youre so cool! I dont imagine Ive read anything such as this before. So nice to find someone with some original applying for grants this subject matter. realy many thanks for starting this up. this amazing site is something that is necessary on the net, someone with just a little originality. useful job for getting something not used to the internet! I would like to thank you for the efforts you’ve put in writing this website. I am hoping the same high-grade website post from you in the upcoming also. El resguardo acredita la estancia del aparato en el establecimiento y debe hacer constar la identificación de la empresa, el depositante, el aparato, una descripción de los daños del aparato, averías previsibles servicios a realizar y el plazo de entrega. También hay unos plazos establecidos para que el taller pueda aprovisionar las piezas de la reparación: 15 días desde la solicitud para piezas nacionales, y un mes para las piezas de importación. I’d be interested to know her salary.